Terry Riley is one of the founders of the Minimalist Movement. His most famous and ground breaking work, 'In C', is based on structured interlocking repetitive patterns, creating a hypnotic, multi-layered aural sensation, which inspired many composers and musicians after him. 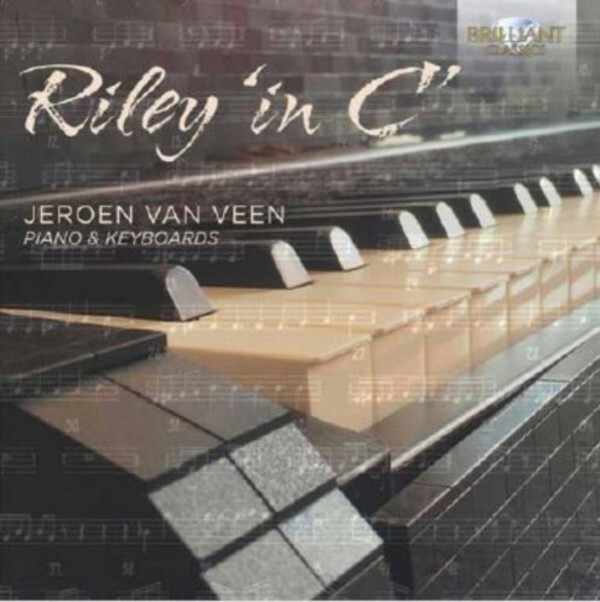 On this recording, Jeroen van Veen used two grand pianos, 3 electronic keyboards, clavichord, 4 synthesizers, and several other instruments, recording the layers one by one. This is another fascinating issue by Jeroen van Veen, Dutch champion of Minimal Music. His earlier issue (P�rt, Glass, Einaudi, Satie, Minimalists) are worldwide bestsellers! The liner notes are written by Jeroen van Veen.